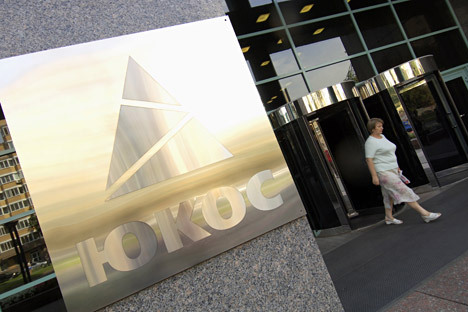 More than half of Russians (60%) have described as politically motivated the decision by an arbitration court in The Hague to pay $50 billion to former Yukos shareholders, Levada-Center told Interfax. One in ten (10%) is certain the court ruling was impartial and well-balanced. Thirty per cent could not answer, according to the findings of a survey of 800 respondents in 134 towns in 46 Russian regions on June 19-22. The view that Russia must comply with the ruling is held by 26% of the respondents, but they are way outnumbered by their opponents (41%). One-third (34%) of the respondents have no opinion on that score. Overall, according to 46% of the respondents, Russia must comply; 30% think it must not; and 25% could not answer. It was reported that in July 2014 an arbitration court in The Hague ruled in favor of former shareholders of the oil company Yukos and compelled Russia to pay $50 billion, including $39.9 billion for the Cyprus-based Hulley Enterprises, $1.8 billion for Yukos Universal (Isle of Man) and $8.2 billion for Veteran Petroleum (Cyprus). Initially, the ex-shareholders demanded around $100 billion. However, the court held that the Yukos shareholders share the blame for the company's demise since they used tax-avoidance schemes but Russia's response was disproportionate. Russia appealed against the ruling.